Attract, Engage and Retain Customers with CalScot’s marketing services. Build your brand faster, connect with more people, generate more leads! We are available to help with any of your marketing needs on a full-time or part-time basis. Just treat us an extension of your marketing department and we will help with any project. 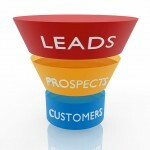 Experts in both B2B and B2C lead generation. We prefer to refer to both of these as P2P (Person to Person) lead generation and can help you figure out ways to fill your sales funnel or add new marketing channels. Did you know that email marketing is still one of the best marketing tools to generate both leads and sales? We can help you grow your lists, create nurturing programs and effectively target potential new customers while maximizing existing customer LTV. Is your social media management falling behind and is your company missing out on being exposed to a massive and engaged audience? Talk to us today and find out how we can help your company plan a social media strategy and grow this channel. Increase your organic traffic with a customized SEO strategy. Both onsite and offsite factors will determine where your site ranks. Reduce the potential of catastrophic search penalties from Google. 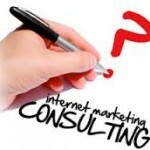 Let us help you and get started with an SEO Consultation. Setup and management of online advertising campaigns on major search engines and social media platforms. Keep your costs low and your traffic high. For information visit our section on Search Engine Marketing (SEM). 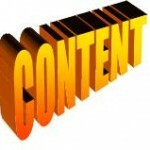 Content is king and your business needs to create a healthy pipeline of unique and compelling content to attract customers. CalScot can help you create a content strategy and help you execute it with our content marketing service. Online reviews heavily influence customer buying decisions. It typically takes a lot of effort to get a customer interested in your companies products or services. A lack of online reviews or a bunch of negative reviews will lose you customers. We can help you improve your companies online profile with our business review and profile service.